Potential 2012 U.S. presidential candidate Mike Huckabee said Tuesday that if Palestinians want an independent state, they should seek it from Arabs – not Israel. The evangelical minister and Fox News host said Jews should be allowed to settle anywhere throughout the biblical Land of Israel – an area that includes the West Bank and east Jerusalem. Most of the international community – including President Barack Obama – considers Jewish settlements in the West Bank and east Jerusalem illegal because they are built on occupied land Israel captured in the 1967 Mideast war. The Palestinians claim both areas for a future state. 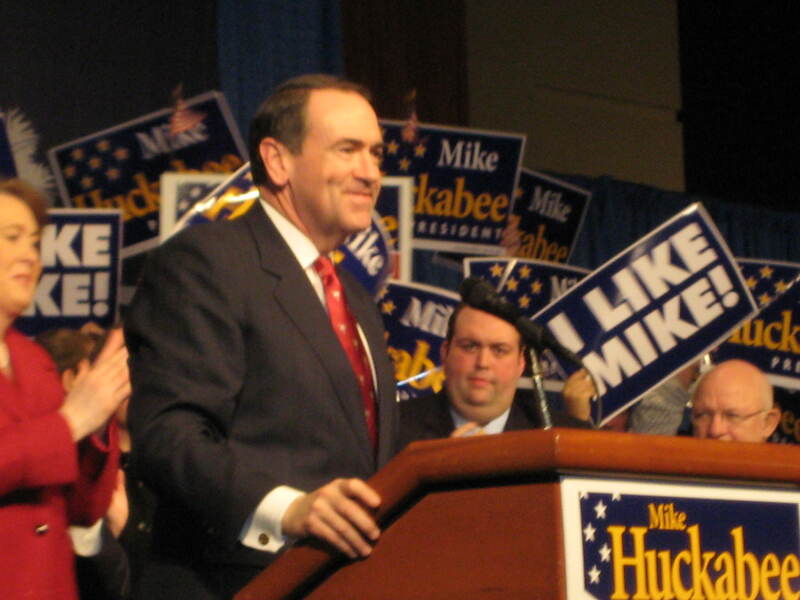 Huckabee suggested that a Palestinian state were to be established, it shouldn’t come at Israel’s expense. “There are vast amounts of territory that are in the hands of Muslims, in the hands of Arabs. Maybe the international community can come together and accommodate,” he said in a meeting with reporters. This isn’t actually new from Huckabee. He’s made this kind of statement before, and it sort of comes with the territory of being a religious nut. What is more, I’m sure that other potential 2012 candidates, such as Sarah Palin, privately probably wouldn’t disagree. What it does show, though, is the complete and utter divorce from reality that the American right has undergone in the past few years when it comes to the Middle East. Where President George W. Bush actually got quite far with his roadmap, before it ground to a halt with the 2006 Palestinian elections and the victory of Hamas, these days one couldn’t expect anything less from a republican than 100% allegiance to the positions of Binyamin Netanyahu’s hard-line far-right government. This ideological shift to the right on Israel has forced the democrats to become more staunchly pro-Israeli, too – to the point where speaking to any pro-Palestinian groups is a serious political liability, even in a democratic primary (just google ‘Joe Sestak’ and ‘CAIR’ and see what comes up). As a result, America is increasingly blind to the continuing plight of the almost four million people living in the occupied territories, and Israel is freer and freer to forget past promises of working towards a two-state solution – as Netanyahu started to do as early as 2009 with his Bar Ilan speech. N.B. : For clarity’s sake, I don’t believe for a second that there’s some kind of Jewish lobby or conspiracy behind this. Far from it. One thing of note when looking at the republicans is that despite their tougher and tougher line on Israel, their share of the Jewish vote has remained tiny – and they only have one Jewish congressman (Eric Cantor) and no Jewish senators. I do believe that AIPAC, which represents a tiny fringe of America’s Jewish population, has a pernicious influence on the foreign policy debate – but that ultimately, the current Israel-Palestine paradigm is more to do with public opinion equating ‘tough on security’ with ‘pro-Israeli no matter what Israel does’.